– In which hotel to stay in order to have access to the best of Zagreb without breaking the bank. – Top things to do each day in Zagreb, with all the secret places recommended by locals. Experience Zagreb like a local and not like a tourist. 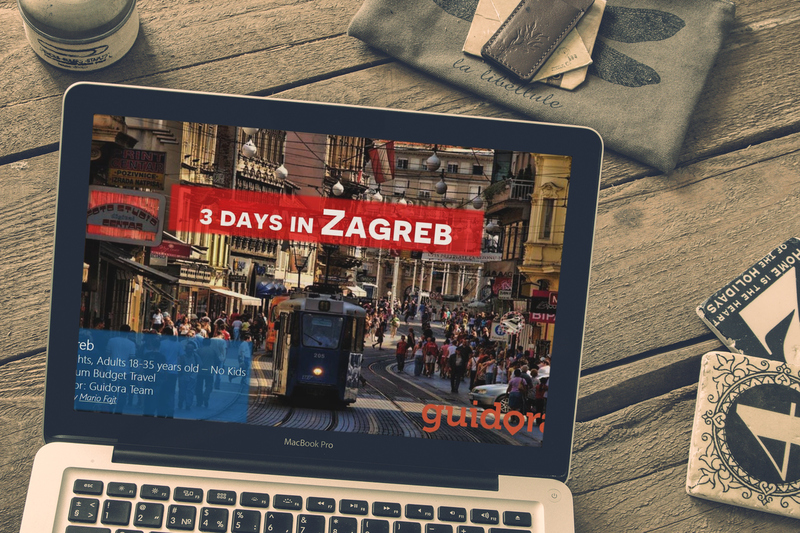 – A complete 24-hour Zagreb itinerary for each day, with places to eat, things to enjoy and what to do. The exact plan on how to visit everything starting from the recommended hotel. – Complete information on prices, places, maps. – Maps that show you where is your hotel and how to move from it to each place recommended in Zagreb. Save time, save money and experience Zagreb like having your best friend there guiding you around. This guide is mainly designed for independent travelers at the age of 18 to 35, who travel as a couple, without kids. Still wondering why you should visit Zagreb? Have a look at the video below to get a glimpse! This guide is in PDF format, so that you can use it from your ipad, iphone, android smartphone, laptop or any other device. You can download a free sample of the first day, to get an idea of the value you will get! Get your Free Sample HERE. We have a special promotion price of just 2.99USD for this PDF Guide for the next few days, instead of the normal 10USD price. Don’t miss the chance!